Pro-Arab activists in California’s capital, which “twins” with Bethlehem, are trying to make the city of Ashkelon an unwanted sister city. Pro-Arab activists in California’s capital of Sacramento, which has adopted Bethlehem as a sister city, are trying to make the city of Ashkelon an unwanted sister city. 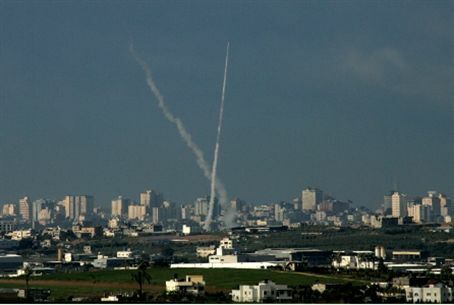 The Sacramento city council is to meet on Tuesday to vote on the proposal to make the terrorist rocket target of Ashkelon the California capital’s 10th sister city. Local leftist Jews and pro-Arabs have argued that doing so would be an “agreement with discrimination,” according to local Arab Adeeb Alzanoon, quoted by the Sacramento News Review. His reasoning is that Israel allegedly forced Arabs out of Ashkelon in the 1949 War of Independence, and that Palestinian Authority Arabs are in Israeli prisons. He also accused the city’s Jewish Community Relations Council (JCRC) of working on behalf of Israel. "Definitely there’s some political connection to the organization that’s proposing it,” he said. The Jewish Voice for Peace rushed to back the Arab claims. The local city council adopted Bethlehem as a sister city in 2009, and the Jewish community backed the proposal after councilman Steve Cohn introduced a resolution that an Israeli city would be added as a sister city. “Saying the JCRC is not appropriate, I think, in the end, just reeks of anti-Semitism,” said Barry Broad, past president of the organization. “They don’t even know what we do or who we are, or have ever asked to meet with us or discuss anything." Pro-Arabs in Sacramento previously have tried to force a boycott of Israeli products at the Sacramento Natural Foods Co-op.